I have to say, cauliflower is truly an amazing vegetable. 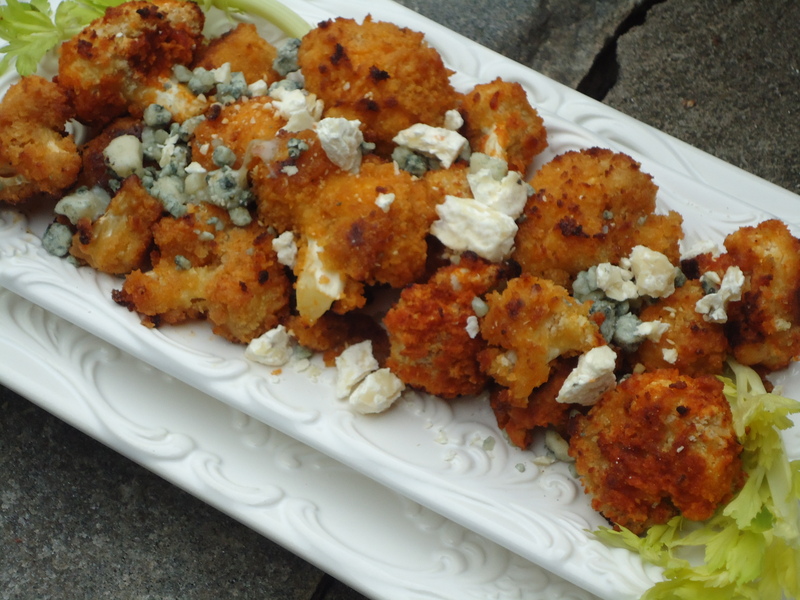 This delectable vegetarian recipe is as close as it gets to “real” buffalo wings. Before they are baked, they are dipped in a batter and then rolled in panko breadcrumbs. The panko breadcrumbs make these tasty snacks so crispy on the outside yet soft on the inside, that you will forget that you are eating cauliflower. In a large bowl, combine the flour, water, salt,garlic powder, onion powder, paprika, seasoning salt, cayenne pepper and stir until smooth. Add cauliflower and stir gently until florets are evenly coated with batter. Roll the florets in the breadcrumbs. Arrange the cauliflower in a single layer on a lightly oiled, large baking sheet (preferably nonstick). Spray the cauliflower with vegetable cooking spray. Bake 20 minutes or until golden. Combine the sriracha and melted butter in a large bowl.Add the cauliflower and gently toss until cauliflower is evenly coated. Arrange the coated cauliflower on the baking sheet and bake 10 minutes or until cauliflower begins to crisp, rearranging florets occasionally if needed. Garnish with a sprinkling of blue cheese and feta cheese. 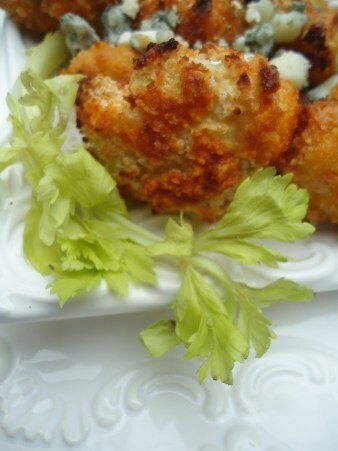 Serve with celery and enjoy! This entry was posted in Appetizers/Starters, Vegetables, Vegetarian and tagged Blue Cheese, Cauliflower, Feta Cheese, Sriracha, Vegetables, Vegetarian. Bookmark the permalink.